Why Incorporate? Because You Don’t Want To End Up BROKE!! Now to be fair, possessing a winning lottery ticket isn’t an automatic Monkey’s Paw. The vast majority of lottery winners have held on to their money and walked quietly off into the sunset, living their lives in ways that all of us only wish we could. However, there have been a lot of lotto winners who couldn’t quite seem to keep it together. And let’s face it: those are the interesting stories because like everyone else who reads these articles, people can’t help but wonder how it’s possible to lose millions in so short a period of time. Aside from the government taking a huge chunk of it right off the bat and the numerous family and friends that inevitably spring out of nowhere to borrow a little somethin’ somethin,’ the answer is that a lot of these winners seem to squander their winnings away in failed businesses. Anyway, enough about me. One of the biggest failings for these temporarily lucky few isn’t necessarily a lack of knowledge in the business they’re attempting to pursue (though you should really, really know your industry), it’s that they didn’t properly incorporate their business to protect their assets. 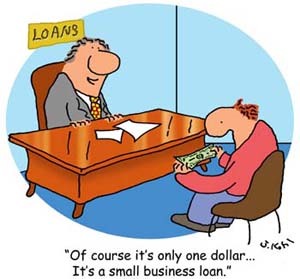 Starting a business is no doubt a difficult, risky, and expensive venture. Folding and closing up shop on a failed business often means more than just a loss dream; what usually accompanies it is a string of creditors looking to seize your assets in order to make themselves financially whole again. Now on the one hand, this is great news for the creditor who gets to cut up your business and personal property to make good on a defaulted loan. But on the other hand, well, I don’t really need to spell it out, huh? Establishing your business as a corporation rather than a sole proprietorship or partnership has a number of advantages. Most important of these is the protection against liability you are given when you incorporate your business. Corporations are treated almost like an individual. If it falls, you as a shareholder are only liable for the money that you’ve put into it, which means your personal assets are safe, theoretically. Furthermore, unlike a sole proprietorship, corporations live on forever as long as the business remains viable. Corporations allow you to control the amount of income you receive and may also allow you to defer your taxes to a later time, and may even give you certain tax deductions not possible as a sole proprietor. Last year, LegalMatch received thousands of new clients looking for business attorneys to help them incorporate their small business. But don’t be too gung ho about incorporating your business. Aside from the paperwork, there are some real disadvantages, too, such as the ineligibility for personal tax credits and the costs to incorporate. Sitting down with a good business lawyer is the best way to see if incorporating your business is the right move for you. It definitely would’ve probably helped a lot of those lottery winners. And remember, sometimes even the best financial lawyers and advisors can’t save you no matter how much money you may have.